Split Airport, situated in the town of Kaštela, is a gateway to the gorgeous coastline of Croatia! Owned and operated by Split Airport Ltd, it is home to an exceptionally designed main terminal. Alternatively known as Resnik Airport, it is especially popular during the summer season, drawing many tourists to Split, the second largest city in Croatia. Split Airport (IATA code: SPU) is the second-busiest airport in Croatia and a focus city for Croatia Airlines. Flights to Split Airport are available from international airlines such as British Airways, Lufthansa and easyJet. SPU is a 35-minute drive from the city centre of Split. Book your cheap flights to and from Split Airport online! Split Airport is one of the main entries into the country of Croatia. Situated in Kaštela, the airport offers you access to the country’s gorgeous beaches. Besides serving Split, Kaštela and Trogir, SPU schedules flights to European cities such as Athens, Frankfurt, London and Paris. In 1966, Resnik Airport (as it is alternatively known) opened for business. From 1995, the number of passengers passing through the airport began rising, resulting in further expansions. By 2016, Split Airport became the second-busiest airport in Croatia, after handling around 2.3 million passengers. If you have some time before your next flight, why not enjoy one of the many scrumptious dishes and refreshing beverages at the restaurants and bars at Split Airport. The airport additionally offers the pleasure of shops selling duty-free shops, where you can browse through a collection of products that include gifts, souvenirs, tobacco, alcohol and more. 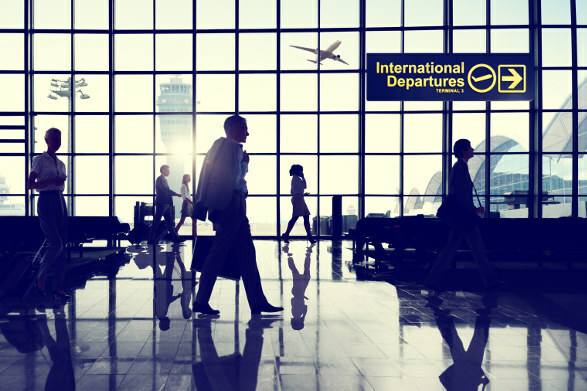 Other services that you have access to at Split Airport include banking, currency exchange facilities, ATMs, lost baggage area, internet, as well as disabled passenger facilities. Hotel Manufaktura This colourful 3-star hotel in Kaštela is a 2-minute drive from the airport. Amenities include close proximity to the beach, air conditioning, restaurant, bar/lounge, airport shuttle, terrace, daily housekeeping and multilingual staff. The establishment furthermore offers free buffet breakfast, free Wi-Fi and free parking. Brown Beach House Design Hotel This beautiful 4-star hotel with views across the bay is a 13-minute drive from Resnik Airport. It includes features such as a full-service spa, outdoor pool, 24-hour fitness centre, airport shuttle, library, restaurant, bar/lounge, and close proximity to the beach. Additionally, you can enjoy free continental breakfast, free Wi-Fi, and free parking. Atrium Hotel This stunning 5-star luxury hotel near Diocletian’s Palace is a 23-minute drive from Split. The establishment is home to numerous amenities, including daily housekeeping, air conditioning, airport shuttle, indoor pool, fitness centre, 24-hour front desk and full-service spa. Free full breakfast and free Wi-Fi is available as well. You can order foreign exchange as early as 60 days in advance of collection. Take note, you can only collect foreign exchange in person. The Splitska bank, situated on the ground floor in the passenger terminal, offers currency exchange services. ATMs are available on the ground floor as well. Split Airport is home to more than 500 parking spaces. These parking bays are available for short and long-term stays. Only cash payments are accepted. Split Airport is 24 km to the west of central Split. Getting to and from the airport is easy with transport options including taxis, buses, car rentals and Uber.